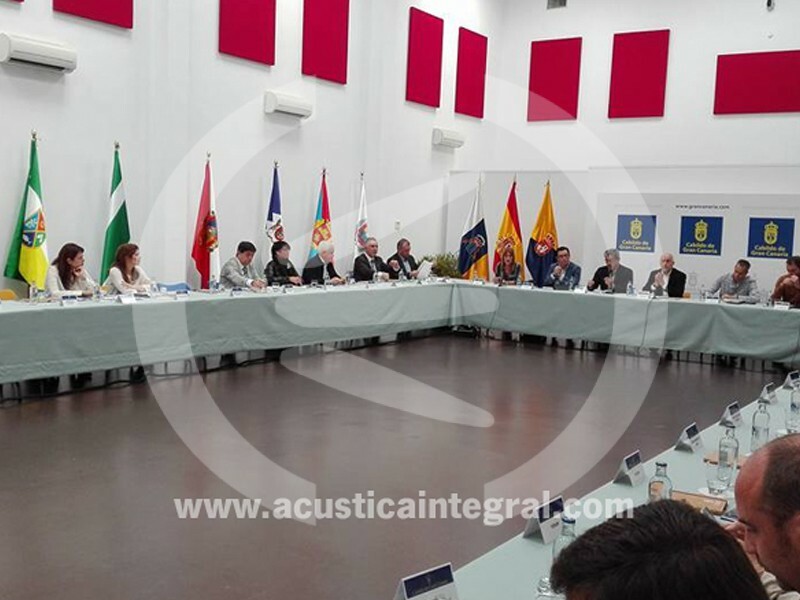 Project: Absorbent treatment in multipurpose room for the Town council of Gran Canaria. Sector: Construction. 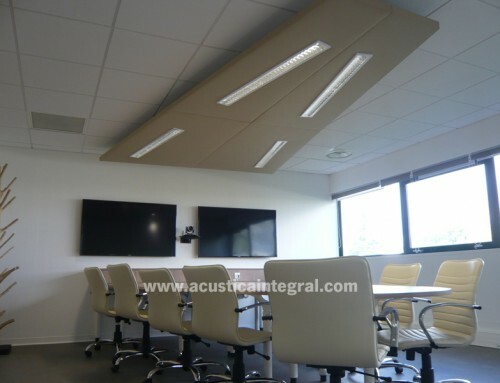 Offices, meeting rooms, exhibition rooms. 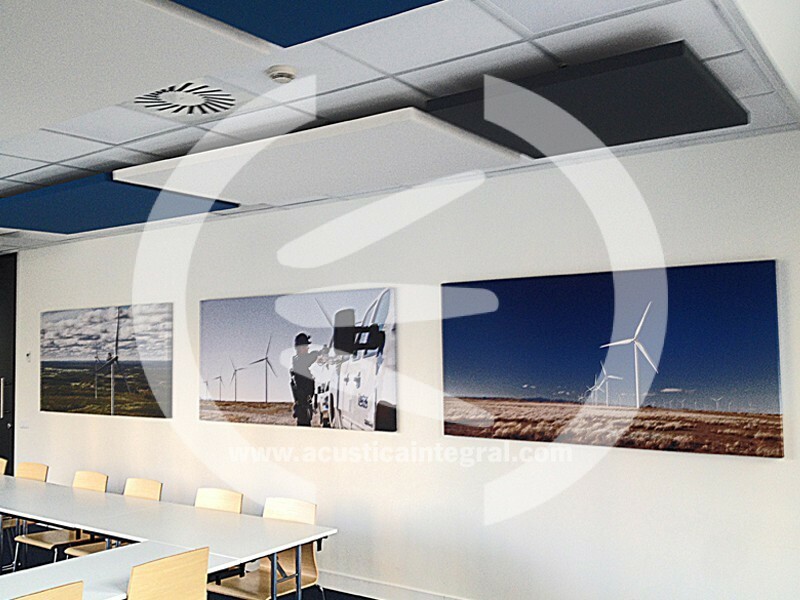 Acustiart.Installation on ceiling and walls.Suspension through support kit for ceilings. 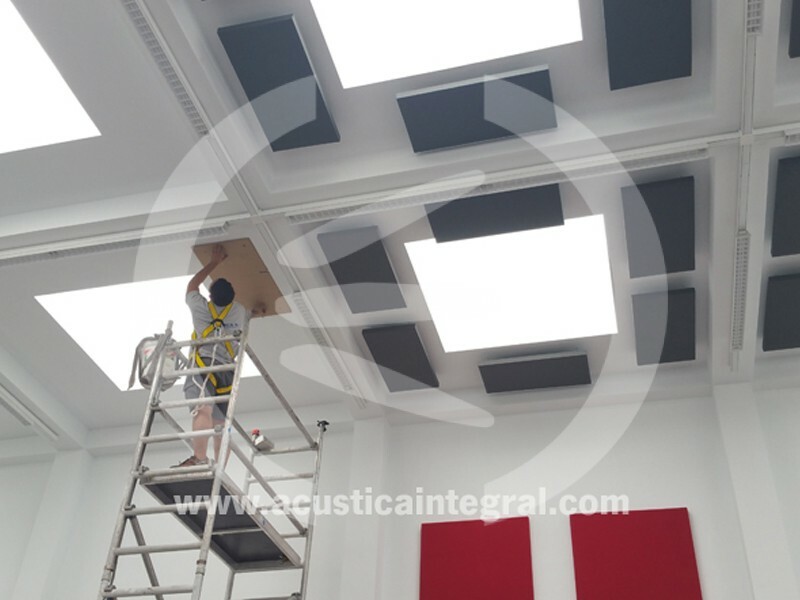 Big premises and adjacent areas have many acoustic defects that must be corrected with absorbent materials that enable reaching the appropriate reverberation time values, to carry out multiple activities. 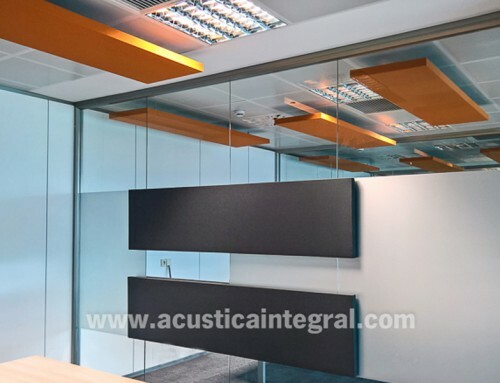 We must consider that the effects of the increase of reverberation time due to the inexistence of absorbent acoustic surfaces on floors ceilings and walls, cause a notable reduction of the parameters necessary for oral communication between speakers and listeners. We must also take into account the loss of word intelligibility due to the degradation of the messages emitted in environments with a very high reverberation time. 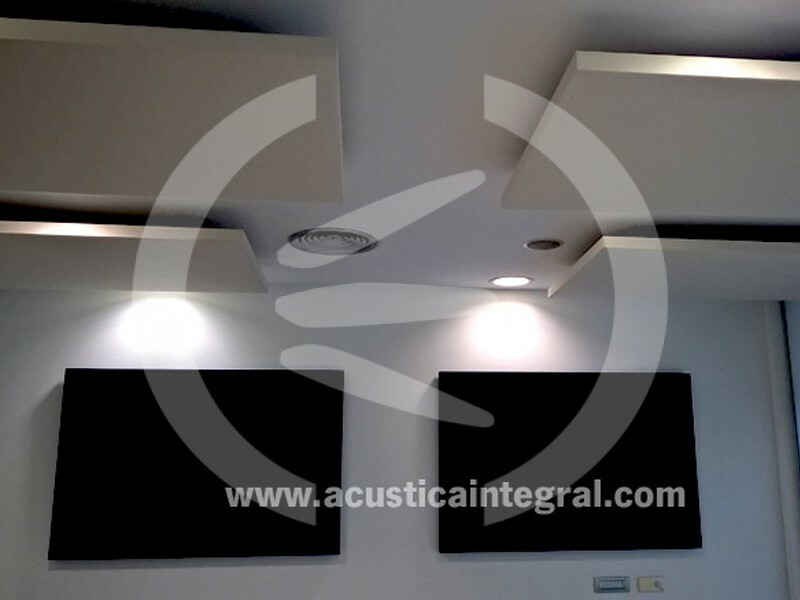 Acústica Integral provides suitable acoustic materials for these type of treatments. 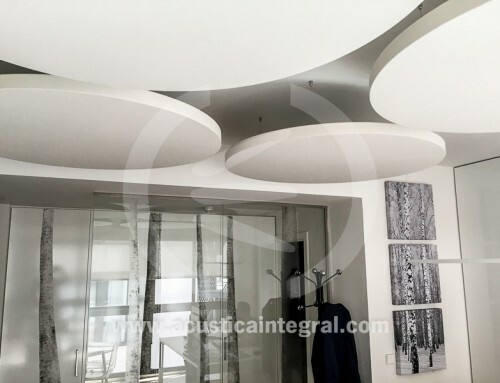 Thanks to its high decorative finish and the variety of sizes and shapes, it can adapt to any decoration and correct problems caused by the lack of absorption on surfaces. 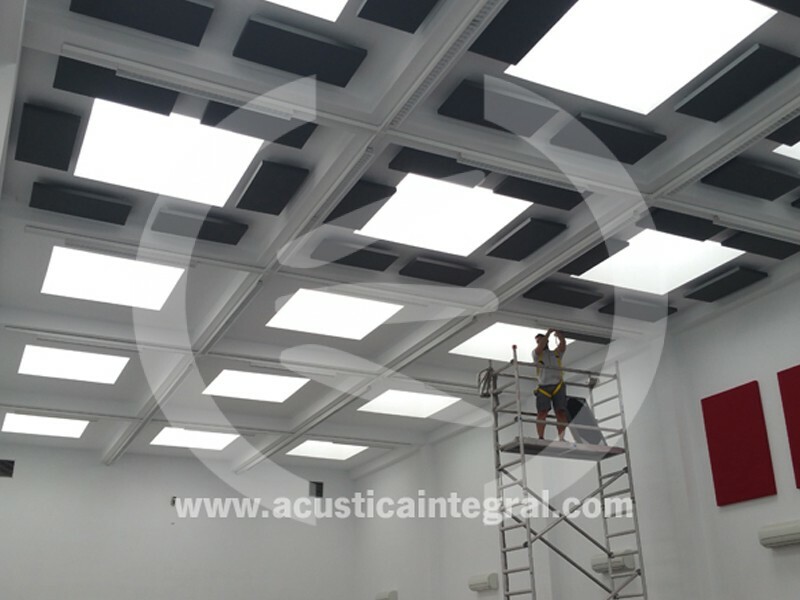 By performing a prior analysis based on “on site” measurements we can find out the reverberation time of the premises and determine what frequency bands are affected, as the reflections on surfaces with little absorption do not attenuate the sound. 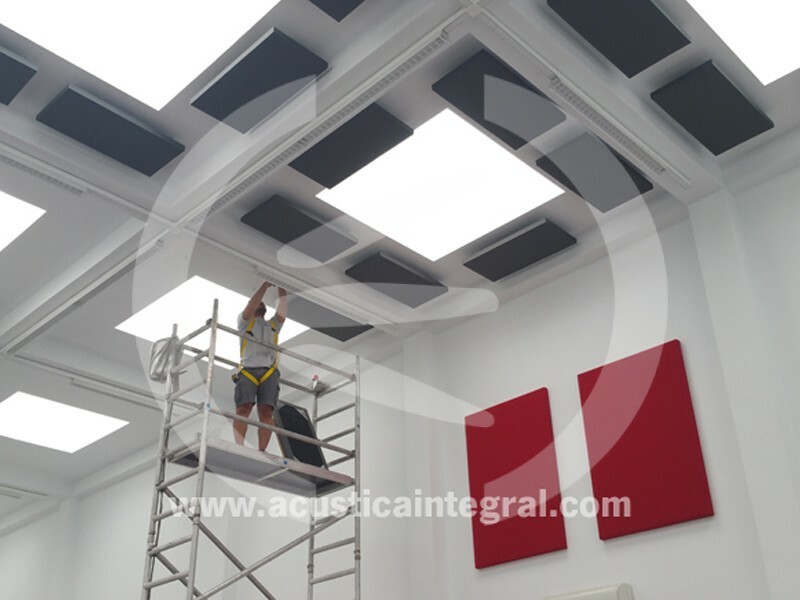 Once the acoustic objectives and the frequency bands that must be corrected have been considered, the different types of materials that can use are established to perform the reverberation time control of the premises under study. 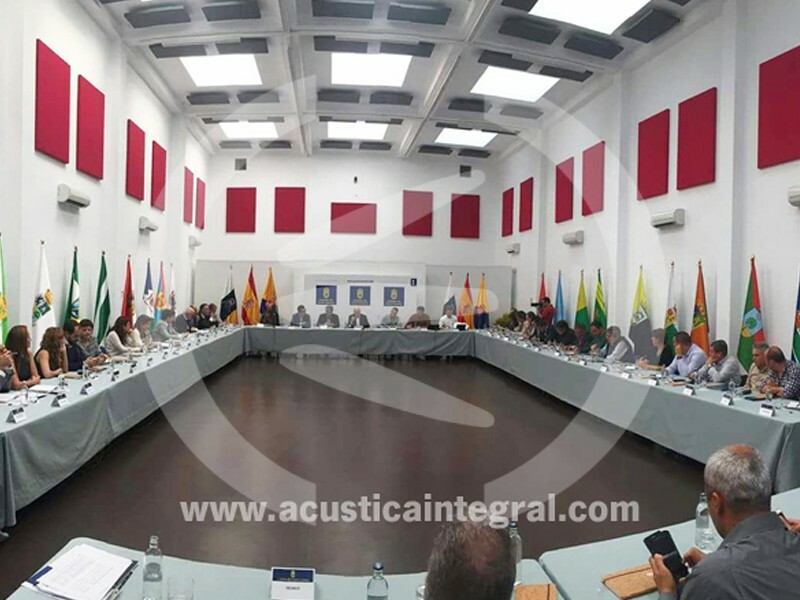 In this specific case, it is a large room in the Town council of Gran Canaria intended for multipurpose activities (meeting room, exhibition room, fairs, etc.) The initial analysis of the reverberation time reached values of around 5.5 seconds, totally inappropriate for the type of activity to be carried out. 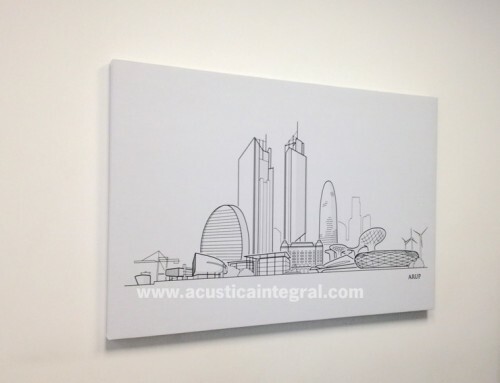 To analyse possible solutions to the problem, a 3D model of the premises was made, adjusted for the initial features without treatment, and the different options were studied; reaching the conclusion that the appropriate treatment will be based on the installation of acoustic islands, specifically 90 units of Acustiart on ceiling, colour Titanium, of 100 x 500 x 50 mm. and 33 units of Acustiart colour Cherry of 1500 x 1000 x 50 mm. 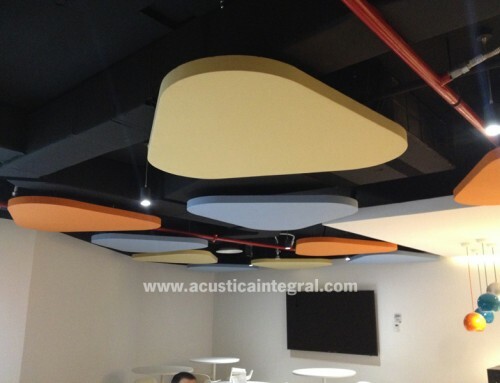 By applying this acoustic treatment the intention is to reduce the reverberation curve to a value of 1.4 seconds. The reduction achieved is very notable and adapts well to the type of activities that are going to be held in the room. Great satisfaction on behalf of the client.